Barnes Vanze Architects creates a lakeside farmhouse in Maryland that echoes the vernacular dwellings of the region's past. Barnes Vanze designed a farmhouse overlooking the water that is reminiscent of farmhouses from 100 years ago. 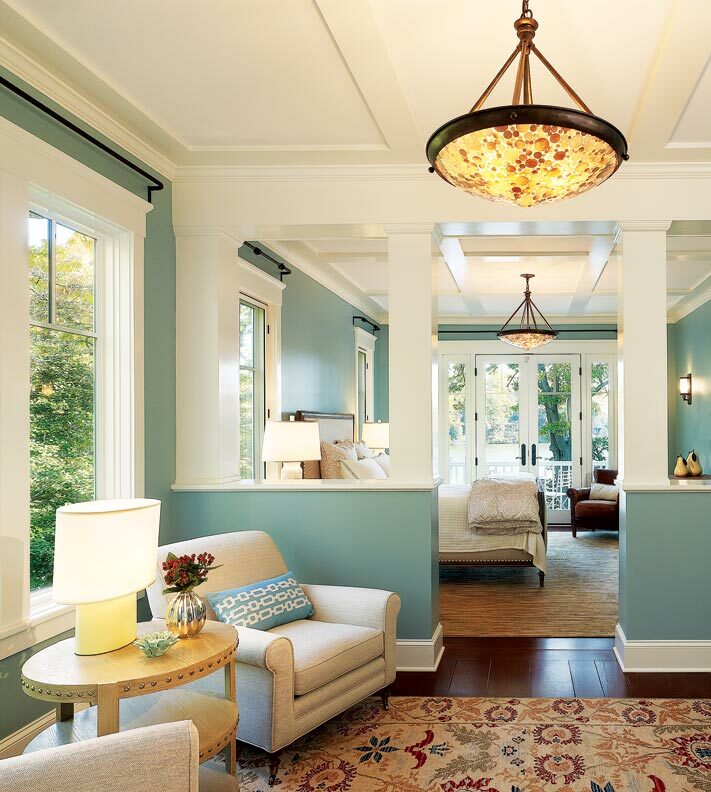 Despite the popularity of modern design, most Americans overwhelmingly prefer houses with familiar forms and details such as pitched roofs, dormers, gables, and crown moldings, among other elements. Jill and Rudy Casasola are no different. Washingtonians who live in the Massachusetts Heights neighborhood near the National Cathedral, the Casasolas love the look and feel of traditionally styled homes. So when they bought a down-at-heels 1980s vacation house on Maryland’s Eastern Shore, they were clear what they wanted to do and hired the Washington-based firm Barnes Vanze Architects to do it. 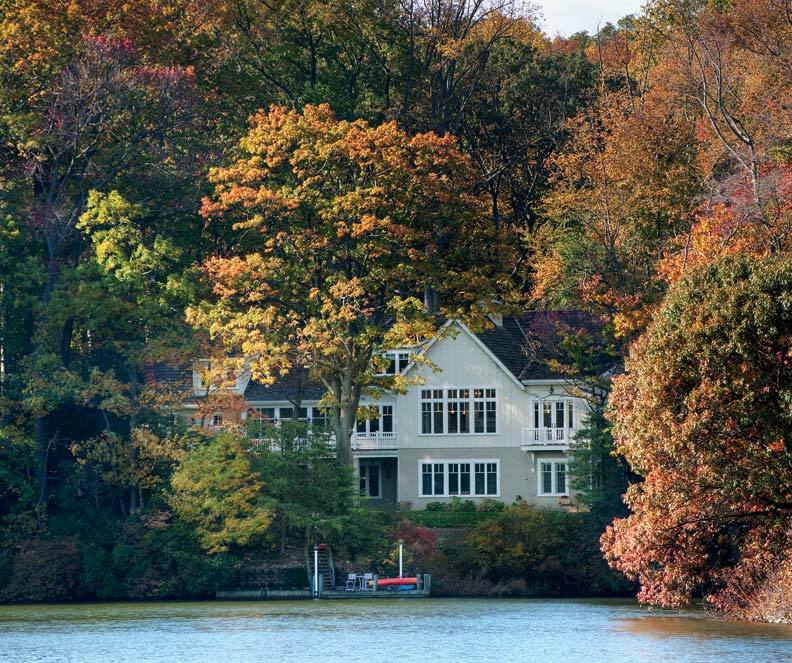 The house is located on Gibson Island in a private community that was developed in the 1920s and ’30s. Situated on a wooded 2½-acre lot, the existing A-frame structure failed to take advantage of the location on a freshwater lake called Otter Pond, so exploiting the location was priority number one, says Giordano. The homeowners had other requests, too. 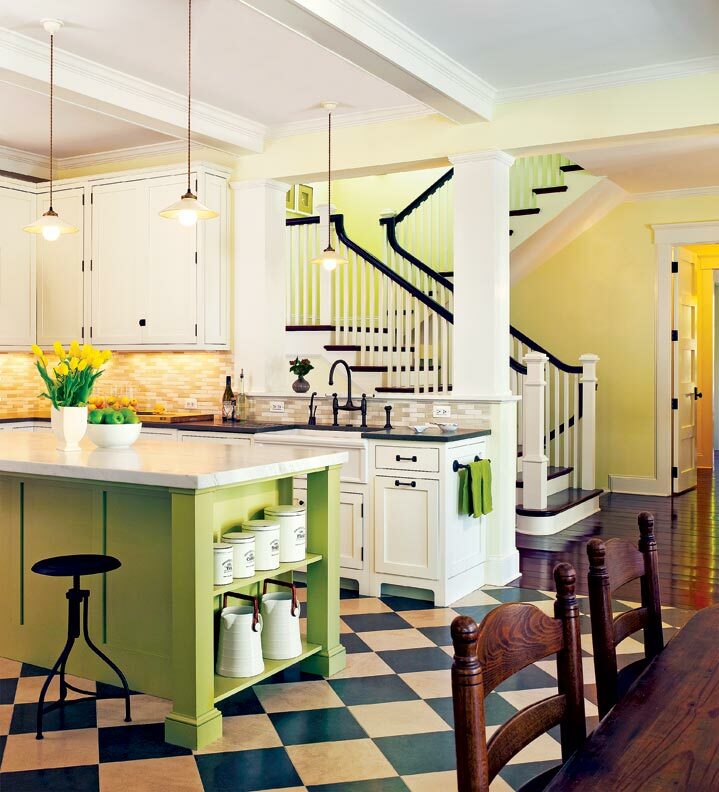 The kitchen is open, bright, and cheery with traditional farmhouse flourishes throughout. 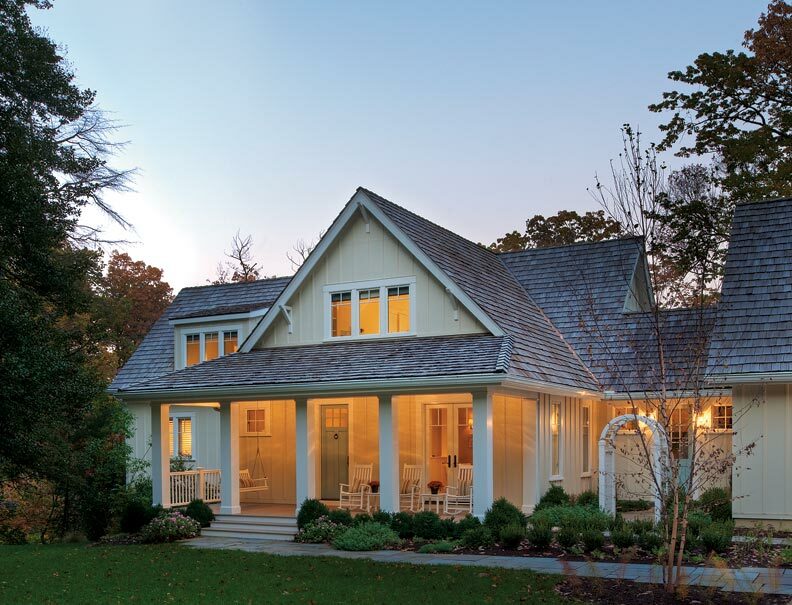 Barnes Vanze Architects designed an almost 8,000-square-foot cottage-style home that looks as if it has been there since the 1920s. 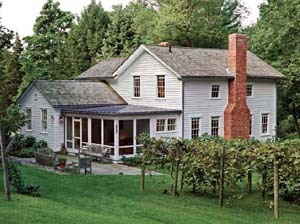 “Because it’s nestled on a hill, it gave us the opportunity to have a house that from the front was modest in scale but that opened up to the water in the back,” Giordano explains. 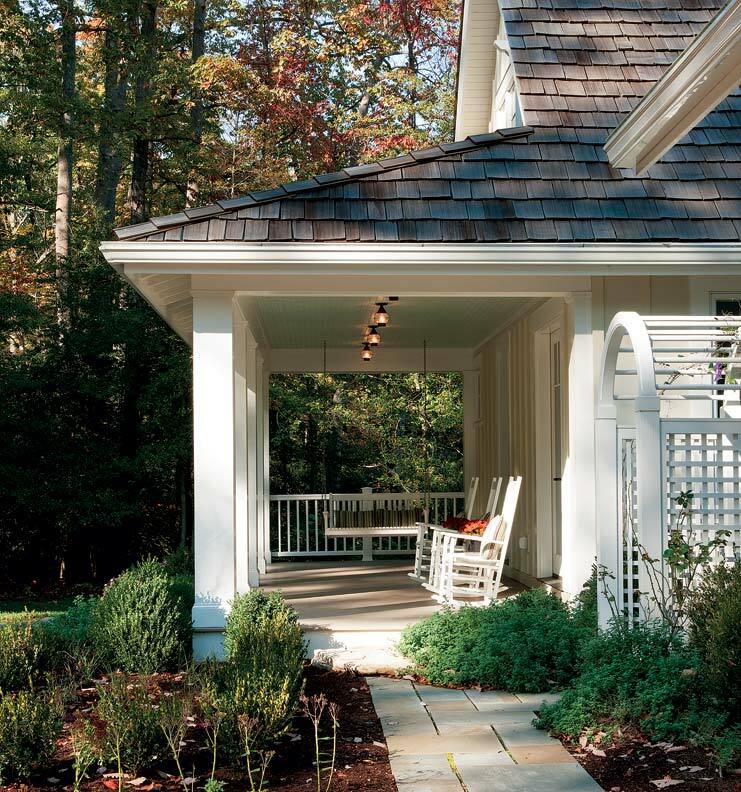 As you drive up to the house, you are greeted by elements that signal the architectural style—a small front porch, a cedar shingle roof, and board-and-batten siding. 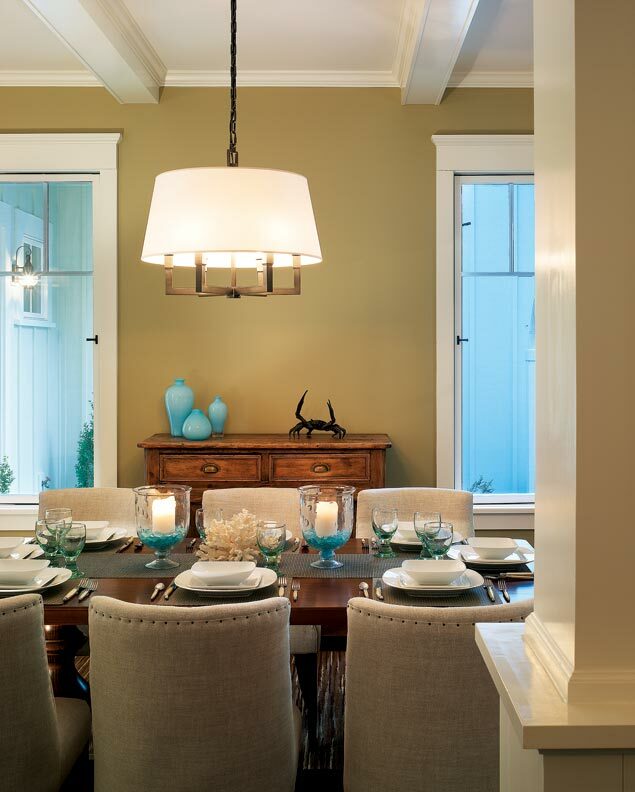 The front door leads to an open main floor that is organized around the kitchen, which sits to the right, as do the dining and breakfast rooms. The master bedroom on the first floor has wonderful lake views. A colonnade divides a sitting area and the bedchamber without blocking light or views. Though the house seems a classic iteration of a new old house, it employs modern-day systems that were unavailable 80 years ago. The architects used spray-on foam insulation to make the building envelope tight and energy-efficient, and added aluminum-clad insulated windows. Fiber cement exterior cladding should resist moisture and decay for decades; PVC exterior trim will never cup, rot, or deteriorate. For the Casasola family, who spends about eight weeks at the home in the summer, the new place is a welcome respite from the sweltering Washington summers and a relaxing getaway from their very formal 1927 center-hall colonial.